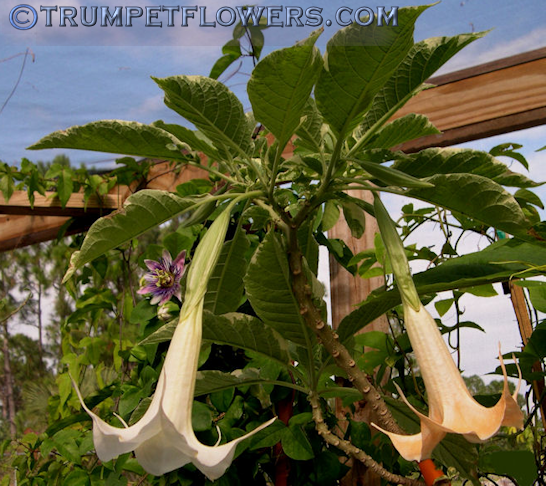 Brugmansia Maya is a variegated leaf angels trumpet. If you look closely, even the calyx is striped white and green. 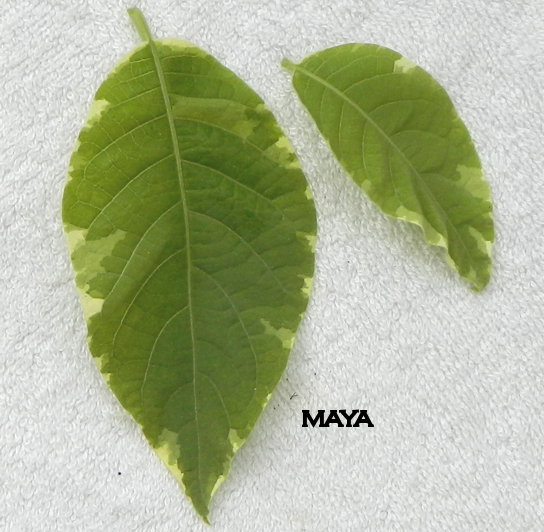 Maya has slightly furry leaves. 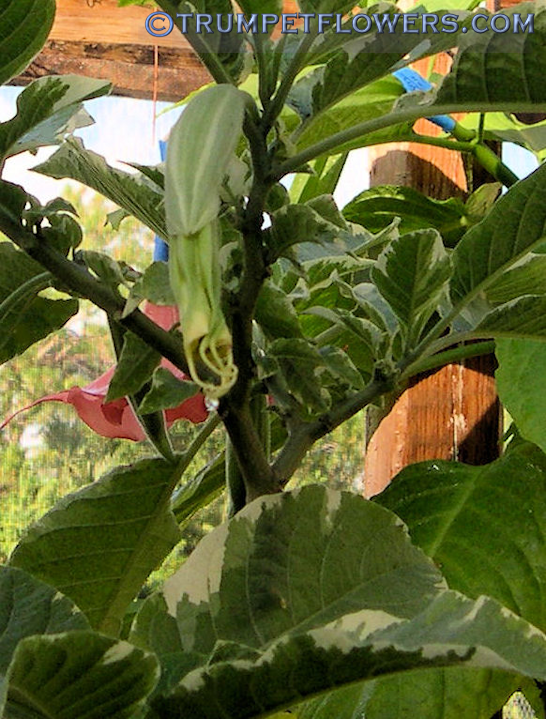 Maya brugmansia has unknown parentage, and is created by Herta Blin. The single blooms are white at first, and then begin to turn to a peach color as the flower ages. A French release, published by Priessel in 1994. The leaves of Angel Trumpet Maya are bright, turning a deeper green as they age, with the variegated creamy white edging.